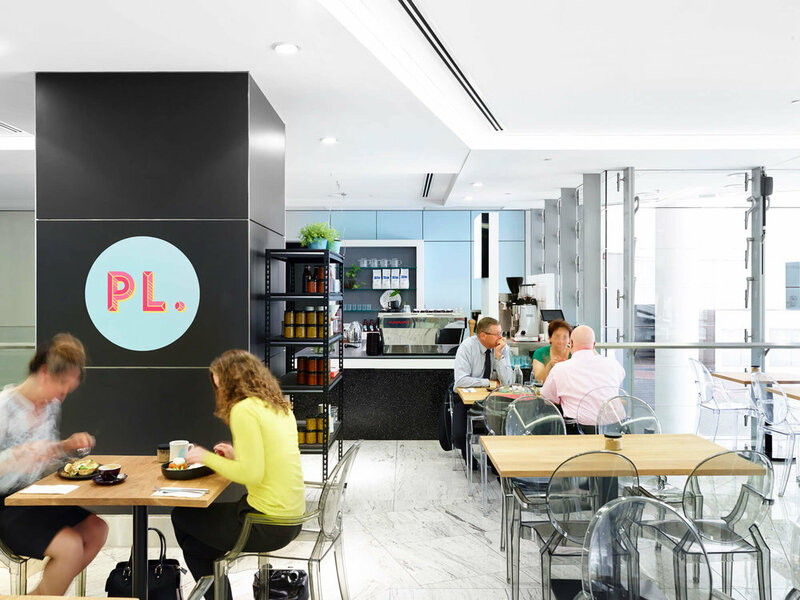 The simple, sophisticated and functional palette complements the fresh, seasonal fare on offer and allows the colourful branding to be the hero of the space. Soft blue wall panelling has been introduced to the rear of the space to draw the eye through and encourage visitors to venture down long, converging corridors to discover the cafe. 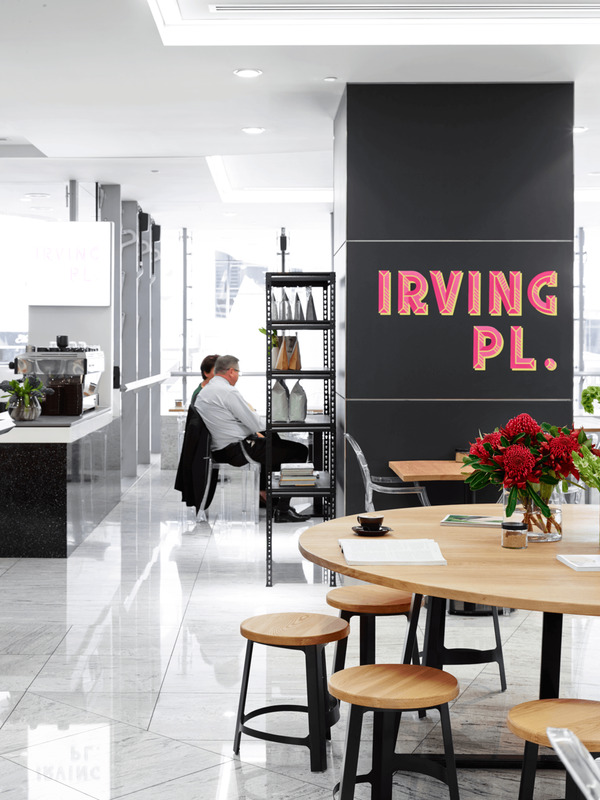 A furniture palette of American oak, black powder coated metal and translucent perspex grounds the cafe within the bright, open space offering visitors a sense of retreat and respite.